A new study showed that a compound responsible for chili peppers' heat could help slow the spread of lung cancer, making it a potential treatment for lung cancer. A researcher from Marshall University presented the results on Saturday at the ongoing American Society for Investigative Pathology annual meeting in Orlando, Florida. "Our study suggests that the natural compound capsaicin from chili peppers could represent a novel therapy to combat metastasis in lung cancer patients," said Jamie Friedman, a doctoral candidate who performed the research in the lab of Piyali Dasgupta with Marshall University. Lung cancer tend to metastasize to secondary locations like the brain, liver or bone, making them difficult to treat, according to the researchers. 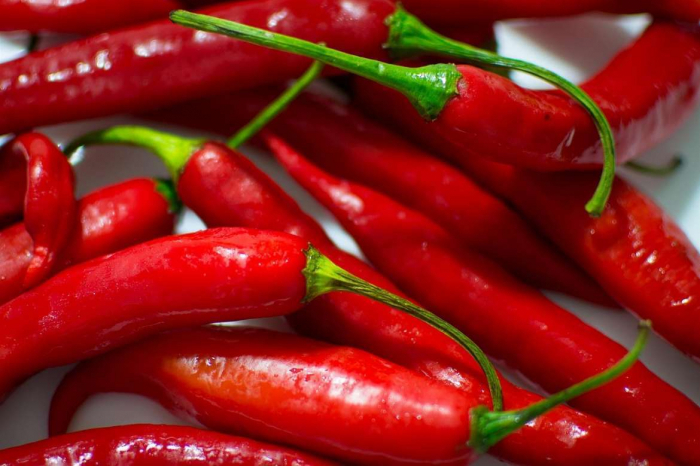 The researchers observed that capsaicin inhibited invasion, the first step of the metastatic process, in experiments involving three lines of cultured human non-small cell lung cancer cells. Also, mice with metastatic cancer that consumed capsaicin showed smaller areas of metastatic cancer cells in the lung compared to mice not receiving the treatment. They found that capsaicin could inhibit activation of a protein called Src, which plays a role in the signaling that controls cell proliferation, differentiation, motility and adhesion.